Severe flooding has caused major damage and disruption across Scotland and the north of England this winter, and as more heavy rainfall hits the UK, the situation remains serious. Several museums, galleries and heritage sites are among those affected – for a round-up of damage and closures nationwide, check our Art News Daily pages. 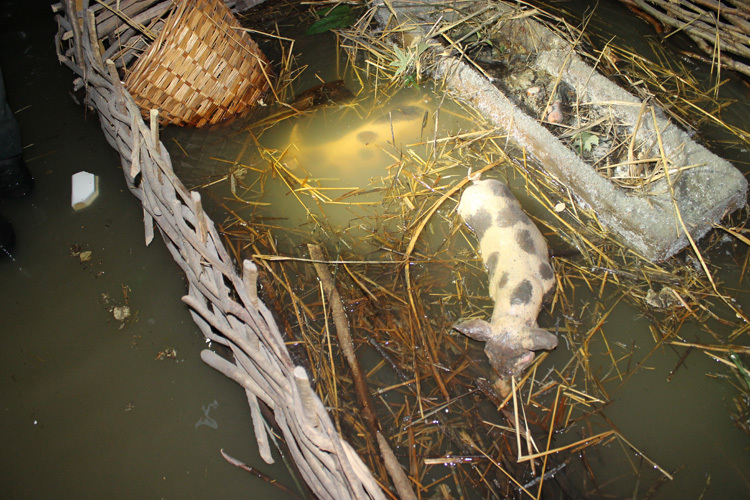 Among the worst hit is the Jorvik Viking Centre in York, a popular visitor attraction with a significant archaeological collection that was submerged in over 50cm of water in December. What happens when such a disaster hits a museum, and what can be done after the waters subside? We spoke to Sarah Maltby, director of attractions at the York Archaeological Trust, about the flooding, clean-up, and contingency plans. What’s the situation at the Jorvik Viking Centre at the moment? We finished pumping out most of the water last Thursday – it took us a couple of days – so we’re now at a point where we’re trying to get the dampness levels down and clear the residual puddles. We weren’t allowed to do anything until the river levels in York had gone down and the water had somewhere to go to. Yes. 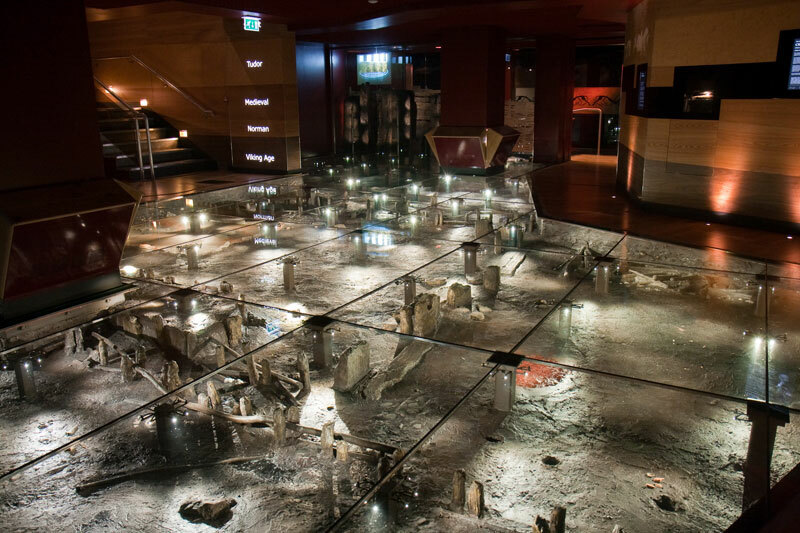 One of the unique things about Jorvik is that it was built where we excavated it, on exactly the same footprint. So it’s built underground. When the waters came up it filled to a level of about 50cm across the whole of the recreated Viking city and our gallery spaces. It was up to a metre in some areas. The Jorvik Viking centre, which is built on the site of the excavations, before the flooding. Was there a procedure in place to minimise the damage in situations like this? We have disaster planning in place, and we managed to evacuate all of the Viking artefacts – there were about 400 of them on display – within six hours of knowing that this was going to happen. All the irreplaceable items were moved out of the building. 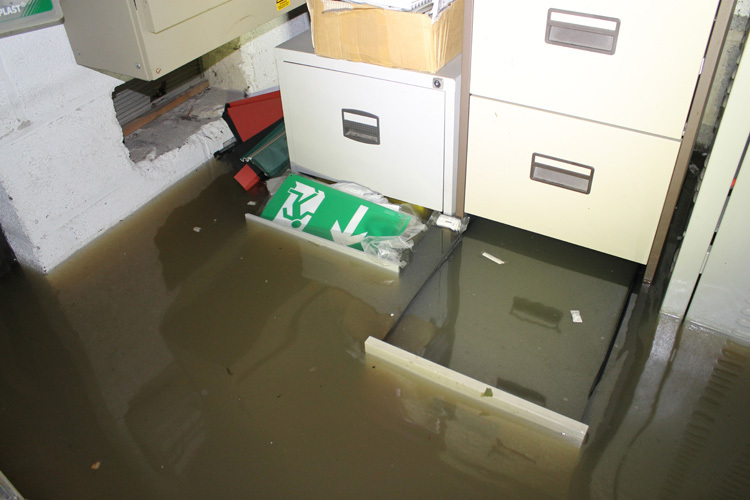 There wasn’t a great deal we could do about the water: it was coming in through the floor and walls of our delivery bay and we couldn’t stem the tide. Then obviously then we lost power, and after that there was just a watching brief, if you like, to manage the situation. When we knew that it had stopped flooding we were able to start pumping the water out straight away. What’s the clear-up plan now? Well, we have to talk to our insurers. We have to get the site as clean as we can and as dry as we can, as soon as possible. Then it’s a matter of looking at the damage and seeing what we need to do. There are a lot of wooden and plaster structures down there, which water can seep into, and we’re checking the contamination of the water as well. It could require a complete rebuild, because of the water ingress, which could take anything between four or five months to a year. We’re not looking at any longer than that: we don’t want to be closed for any more than a year, certainly. Could you tell me a little bit about the artefacts that are in the museum collection? They date from approximately mid 9th century to the mid 11th century, from the Anglo-Scandinavian period in York. We haven’t got the big weapon displays; we haven’t got the ships, that kind of thing. Really what we talk about is about domestic life. We have, for example, the only Viking sock in existence! We have a large collection of shoes; and we have evidence of what people were making here in York – the antler-workers, glass-workers, blacksmiths, the wood-turners. That’s the range of material in the collection: it’s very domestic, it’s very everyday, but it shows how the people of Jorvik lived at that time. What do you plan to do with the collection items while the museum is closed? We’ve obviously moved them into storage for now, but we’re working on ideas with partners in York. We’ve been very lucky: a lot of venues have come forward offering us spaces. Ideally we would hold a pop-up exhibition in the city as soon as possible: we’ve got an exhibition team that should be able to create something quite quickly. We have an awful lot of schools booked with us, so we want to give those a Viking experience of some description, whether that’s through outreach or through an exhibition or something else. Have other attractions or archaeological sites been affected in York? It’s mainly other businesses, retail units – in terms of museums we are the only one that was badly affected. It’s just our location. In York we’re very used to the Ouse flooding; it’s something that happens virtually every year. But we are next to the river Foss, which has never flooded to this degree before. We’ve been here 32 years and never flooded until now: it’s a very anomalous situation. Are you expecting support from government departments: from DCMS, or DEFRA? We will be contacting various departments, yes, certainly. I think it is very important: Jorvik and the collection that we look after are widely recognised. So, although it’s early stages, we are quite hopeful that we will get that support. Keep an eye on our Art News Daily blogs for updates on the flooding in the north of England and Scotland.